Director, Strategic Communications of President Buhari 2019 Presidential Campaign, Festus Keyamo (SAN), has said that, based on the provisions of the Constitution, an aspirant does not need a WAEC certificate to become a president or governor in the country. 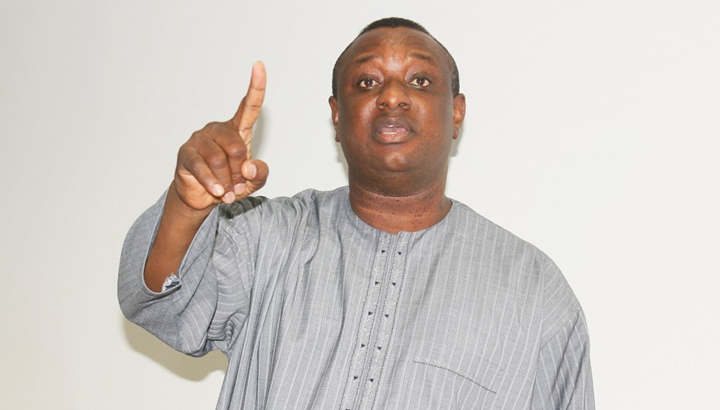 Keyamo had tweeted his responses at a television interview earlier held on Sunday. While Keyamo appears to be answering back at the Peoples Democratic Party who had argued that Muhammadu Buhari didn’t deserve to run for presidency on account of the controversies surrounding his WAEC certificate, the Buhari campaign spokesperson alluded to the 2018 Osun governorship election scenario. In the Osun case, PDP’s candidate in the election, Ademola Adeleke, was sued in separate instances by the opposition and also by members of his party concerning the status of his WAEC certificate. Keyamo argues, “Yes. Section 318 of the 1999 Constitution defines ‘School Certificate or its equivalent’ to mean Primary 6 School Leaving Certificate plus the ability to just speak, write, understand and communicate in English language to the satisfaction of INEC. No WAEC certificate is needed. He added that forgery occurs when the supposed author of a document denies ever making it or denies its authenticity. Zeroing in on his principal’s certificate imbroglio, Keyamo tweets, “WAEC has confirmed the authenticity of PMB’s certificate by issuing an attestation of it. Case closed. “In Osun case scenario, WAEC has denied the authenticity. See the difference? Taking a swipe at those who had criticised President Muhammadu Buhari’s WAEC status, the SAN warned that it was “extremely foolish” for anybody who is not statutorily empowered to issue WAEC certificates to challenge the body that has the statutory power to issue certificates. “Let me end my free lecture series by saying that the crux of the matter is that if you don’t have a WAEC certificate, there’s no need to go ahead and forge one in a bid to be governor or president.